Lives and works in St Just, Cornwall. 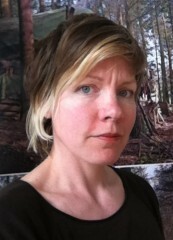 Abigail Reynolds took a BA in English Literature at St Catherine’s College, Oxford University (1993) before an MA in Fine Art at Goldsmiths College, London (2001-2). She is represented by Seventeen Gallery in London and Ambach & Rice in Los Angeles. Recent solo shows include The British Countryside in Pictures at Seventeen Gallery (2011) and A Common Treasury at Ambach & Rice (2012). Current group shows include Topophobia (touring Danielle Arnaud London, Bluecoat Liverpool, Spacex Exeter), and the Helsinki Photography Biennial. Later in 2012 she will have work in The First Cut, Manchester Art Gallery and Dear Aby Warburg, what to do with images?, Museum fur Gegenwartskunst, Siegen, Germany. Since January 2011 Abigail has been a Tate St Ives advisory board member. She taught on the BA Fine Art course at Oxford University (The Ruskin School) from 2005-2011, and now teaches intermittently at the Royal College of Art, Goldsmiths MA and other UK Fine Art courses.